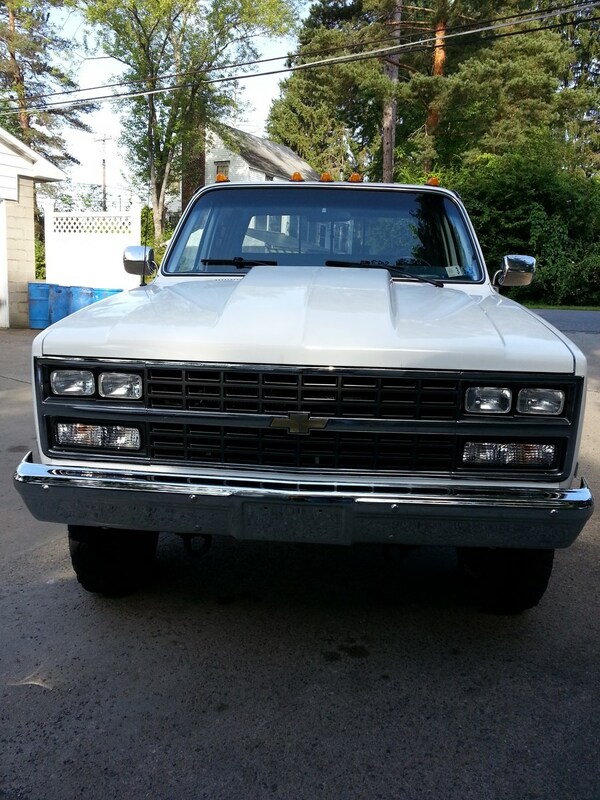 Very hard to find 1991 Chevy 1 ton, crew-cab dually 4x4, with Top-of-the-line Silverado trim. 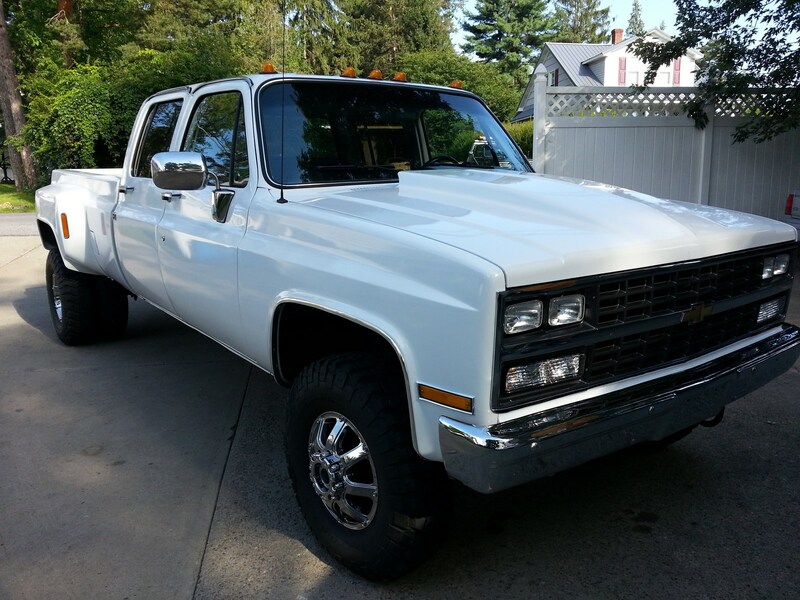 This 1 ton dually is the last and best of this classics body style. 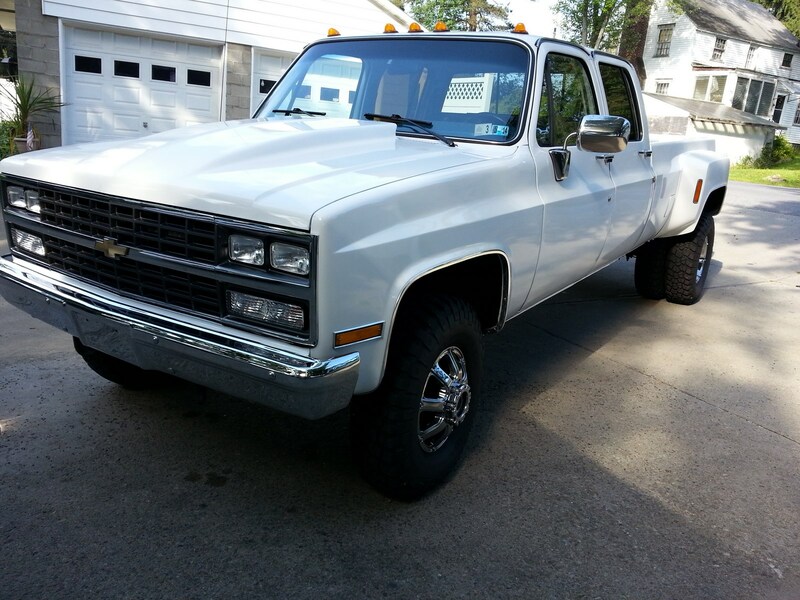 1991 was the only year GM offered the HD overdrive automatic (4L80E) in this body style. This transmission is basically a TH400 with overdrive. It is very strong and will allow your to run 70 or 75 and still get 10 MPG. With the TH 400 that is in the earlier models 65 is tops and you are lucky to get 7 MPG. The overdrive trans is what these trucks needed to make them drivable. This truck also has all the other HD equipment: Dana 60 front, NP205 Transfer case, 14 bolt rear, etc. These were the heaviest duty 4x4's GM ever produced. This 4x4 has only had two owners. It is 99.9% Rustfree from California with only 120,827 miles. This truck is a fully loaded Silverado model. 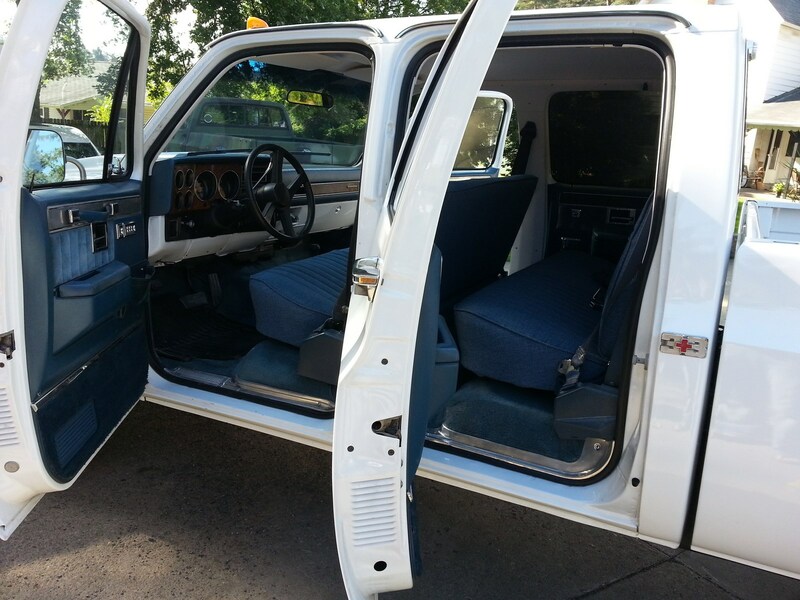 Options include: Fuel Injected 454 (runs strong and smooth), HD overdrive automatic (4L80E), 3+3 seating, Power Windows, Power Door Locks, A/C, Cruise, Tilt, etc. 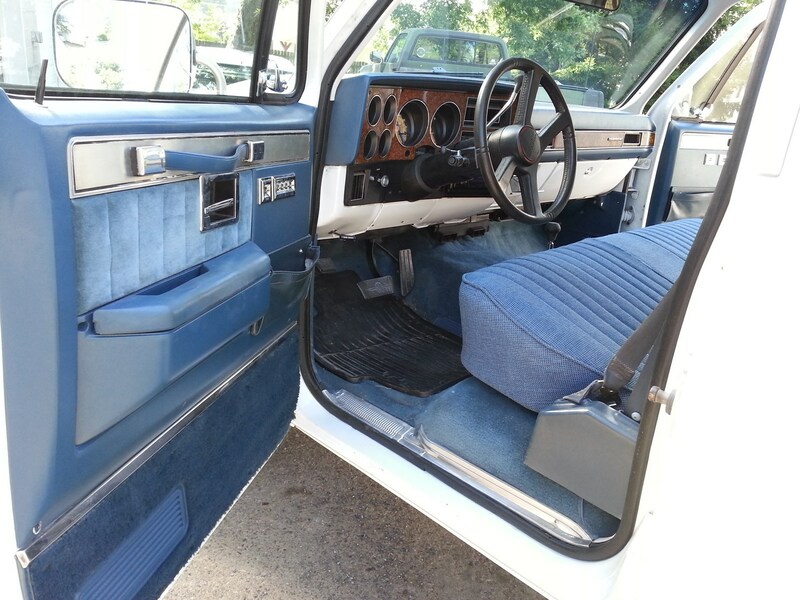 It features the original paint, and interior. The paint is original but flaking off like it did in that era. The interior has some soiling but no major damage. The seats, carpet, and head liner are nice still. The body is pretty straight for its age. The inside of the bed and upper rails are nearly perfect. It runs strong and drives excellent. The transmission shifts nice and firm also. The tires have nice tread, and are on clean stock wheels. 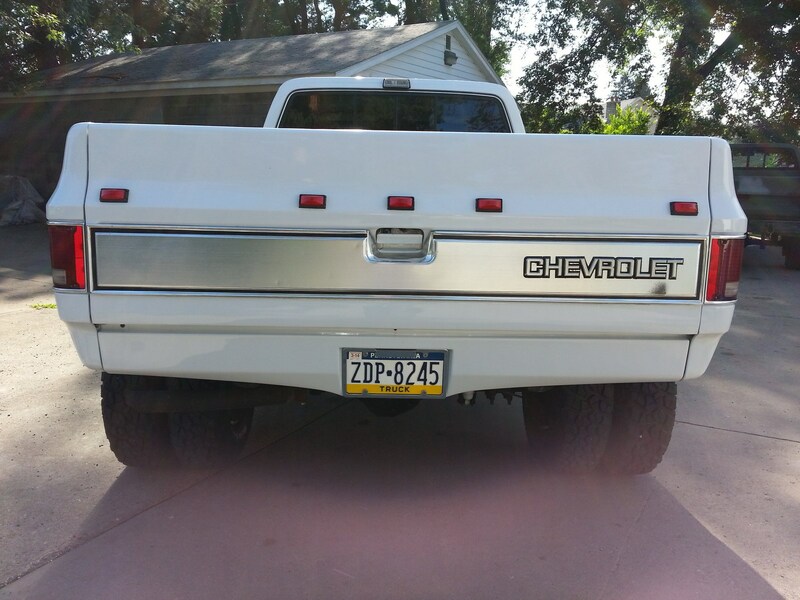 All this truck needs is new paint, everything else is fine.